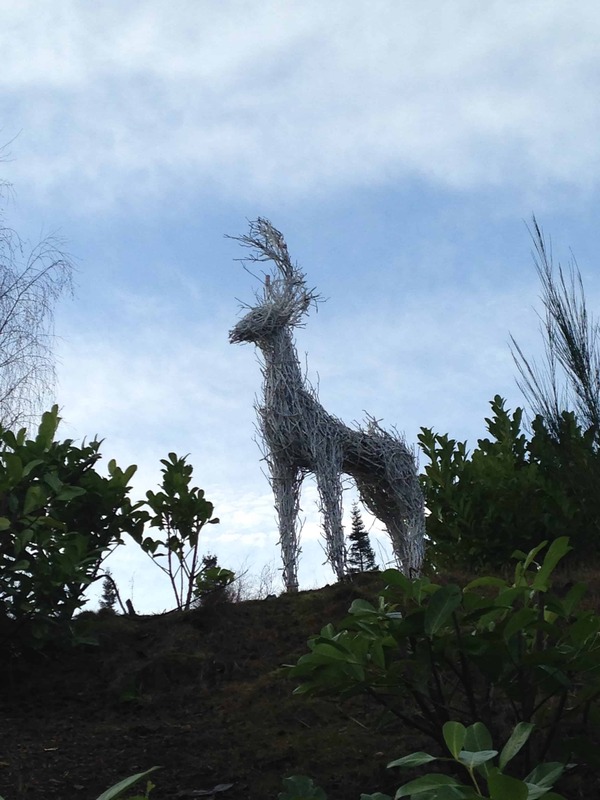 Center Parcs, Winter Wonderland at Whinfell Forest. 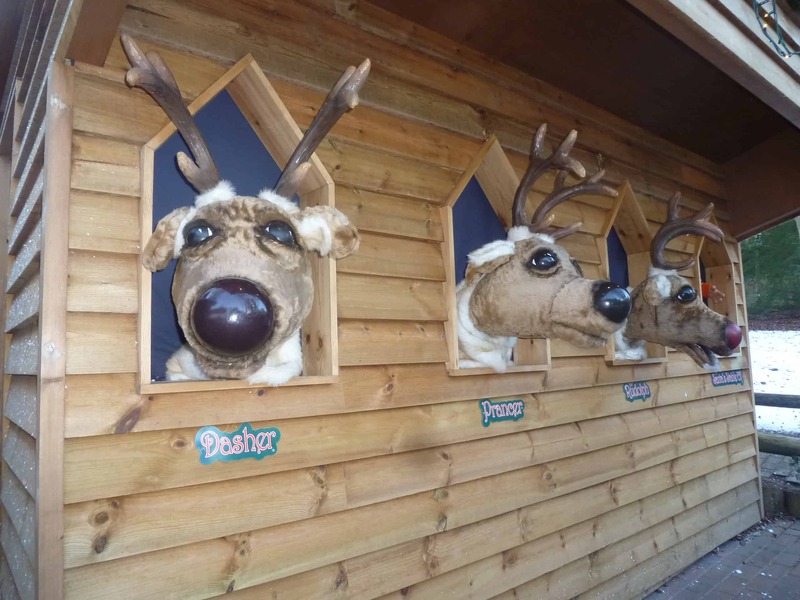 On Friday we all descended upon Center Parcs, Whinfell Forest for our 10th annual Winter Wonderland. We first visited when Joe was 11 weeks old and have been every year since. It just wouldn’t be Christmas without Center Parcs. 5 Years ago our good friends Ruth and Darren joined us with their family, a year later Jacks friend Harry. Its great; between our families our children range between 8 right up to 18. Despite the huge age gap they still all want to come every year. I am not sure there are many locations where we could persuade them all to come along. Center Parcs is the perfect place for families and friends to get together, spend quality time and chill. It works so well, as although we book lodges next door to each other, we still get to spend family time alone with our own families. Because we are next door Joe and Finn are able to explore and build dens together behind the lodge whilst we are able to enjoy a mulled wine sat by the open fire whilst watching the boys play in the woods. I love the fact that as the lodges have lots of space around them, the boys have the freedom to play out, yet never go out of view. The lodges are modern and comfortable and with the addition of an open fire they are the perfect place to snuggle for an afternoon or evening enjoying family time in front of a Christmas movie. We did have one issue with our lodge, but I rang guest services who were wonderful and had it sorted within 20 minutes.You really do need to set aside some time to spend in the lodge. We always buy nuts and seeds from the Park Mart to feed the wildlife, as you get lots of visitors to your patio door. 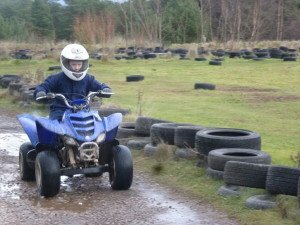 There are so many activities on offer, every year we manage to try something new. The boys are so active and sporty that at times they are hard to keep up with. This year we had an action packed schedule. Yet still managed to get time to relax. Football, as all the boys are football fans they visited the astro turf pitch several times to wear Chris and Darren out, and burn off some of that endless supply of energy they seem to have. Joe and Fin visited Santa and the Elves. Santa’s village is so magical; I love watching the wonder on all the Children’s faces as they wander through the snowy woodland village. Indoor Caving, I am going to write a post about caving as all the boys loved it so much, Jack and Harry claim it is their favourite ever activity. Badminton, this is great for all ages. I loved the fact the teens were so confident us adults were past it and easy targets, when in reality we exhausted them. It was a great activity, and we laughed so much. Quad Biking, Joe and Fin loved this and came off so excited and buzzing. In fact I think they talked about it for hours after. They all loved playing pool, and spent quite some time in quite heavy Lads v Dads competition. In fact they loved this so much we have decided to book a games room lodge next year. And lets not forget the fantastic pool and all those water slides. This is the first time they only went swimming once. But we were just so busy. Looking at that little lot, I can’t believe we fit it all in to 3 day and had such and incredibly chilled time. I suppose when you have active kids the secret to peace is keeping them active, happy kids happy Mum and Dad. As I sit here another Winter Wonderland Over I can honestly say that Christmas for our families would not be the same without Center Parcs. I can’t ever imagine not going to wind down after a busy year at work. Our pre-Christmas chill really has become part of Christmas for us. Thank you Ruth, Darren, Finn, Harry, Reece, and Tyler for another action packed year, we had so much fun and laughed so, so much and thank you Center Parcs for another amazing year, and gifting us badminton courts and indoor caving, one of our favourite activities ever. This looks like a very magical holiday indeed, I bet it’s great to get away with some close friends for a pre-Christmas treat. Some of these activities sound really interesting. The kids have always dreamed of having a go kart/ quad biking track here on the farm! Thanks for linking up with Country Kids. I’d love to visit Whinfell pre-christmas it just looks magical! Steve can’t book any time off in December though which is VERY annoying. He doesn’t finish work until 8pm on a Friday so we can’t even do a weekend. Booooo! Maybe he needs a new job! haha!